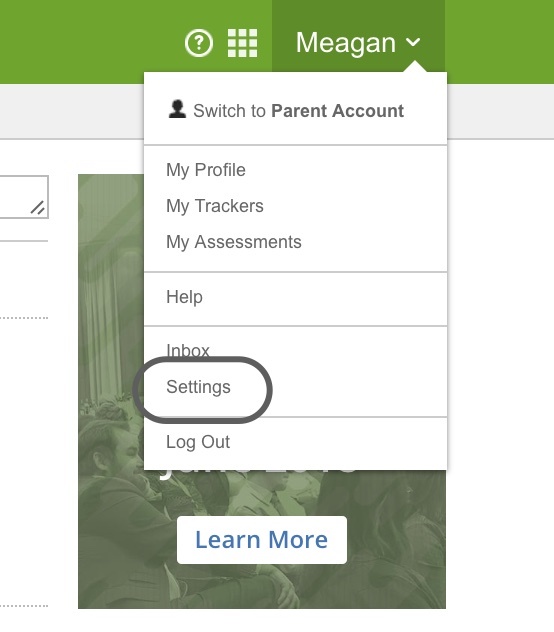 When you first set up your MasteryConnect account, you selected a default set of core standards; however, you can change these defaults at any time. Click on the Cores tab. 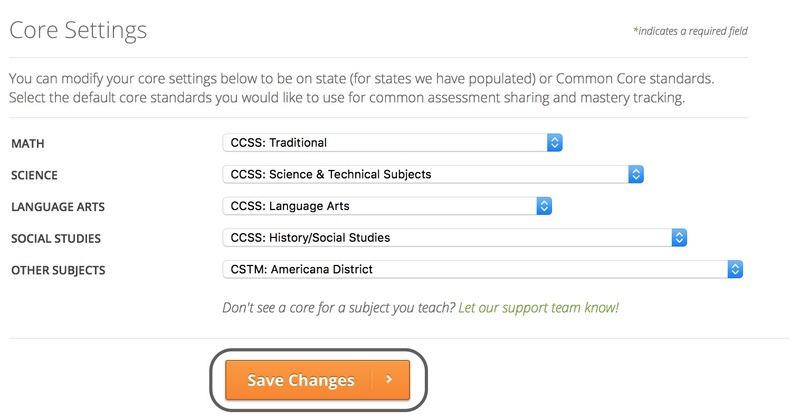 Select your new default core standards from the lists for each subject. Click on Save Changes to finish.